Truly one of my favorite hidden getaways. Perfect for a date night or just wanting to hang out with a few friends. I most enjoy this beautiful outdoor setting while its pouring down rain and thundering up a storm or on cold winter nights when they have all the lights on and the heaters blaring. 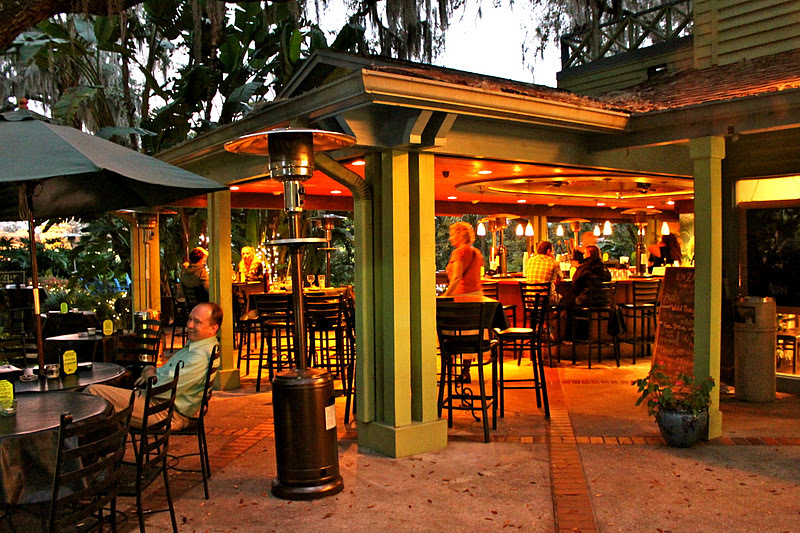 Enjoy lunch at Eden Bar, Central Florida’s best alfresco dining destination. Happy Hour specials and made-to-order entrees and appetizers will get you here early. Eden Bar’s one-of-a-kind ambiance and fantastic menu specials will keep you out late! With daily food and drink specials, lunch offerings, and a late night menu, Central Florida’s most unique outdoor restaurant and bar just got even better. Two select items and your choice of a soft drink, coffee, or iced tea for only $8!